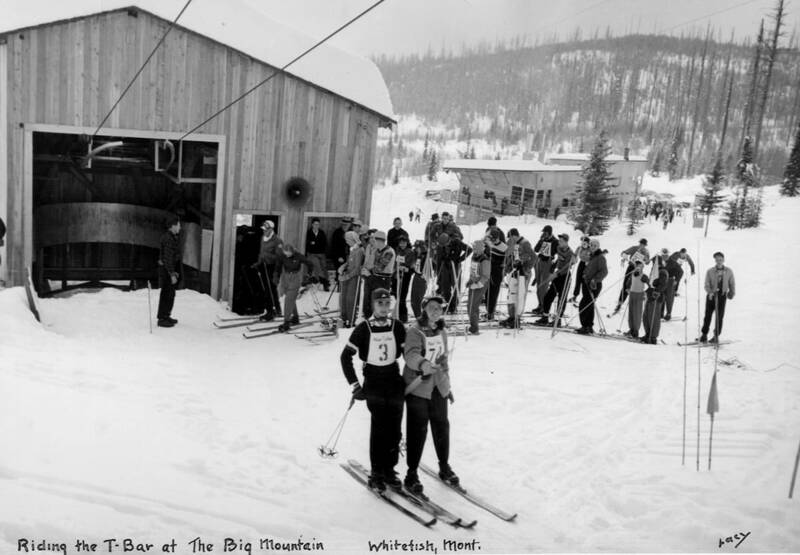 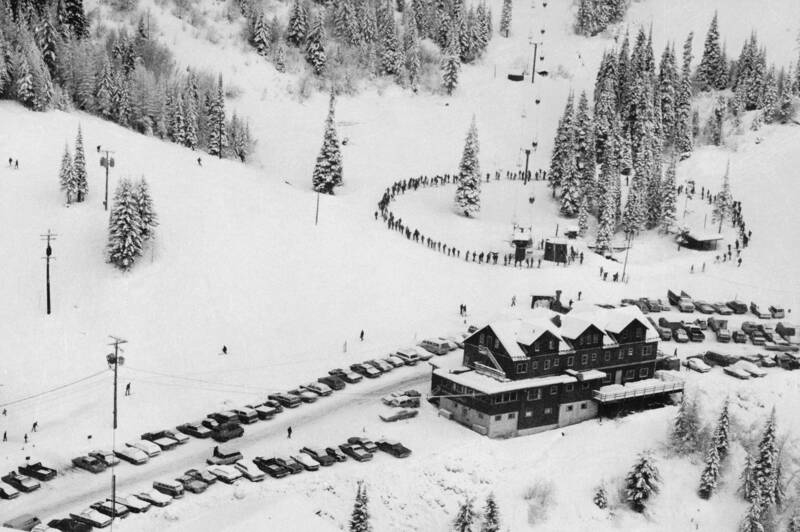 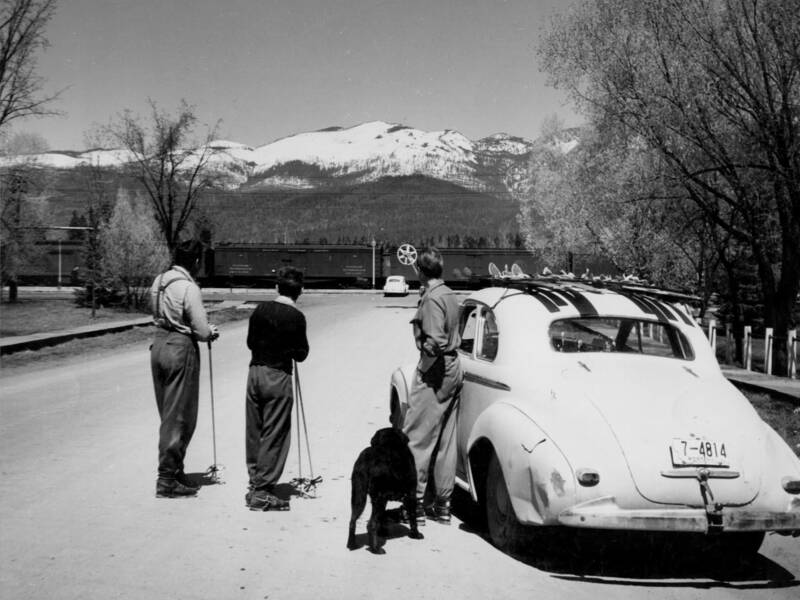 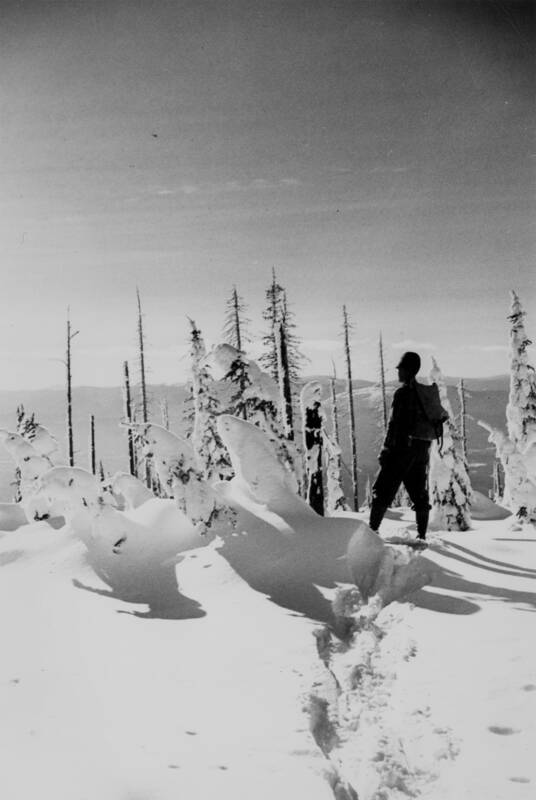 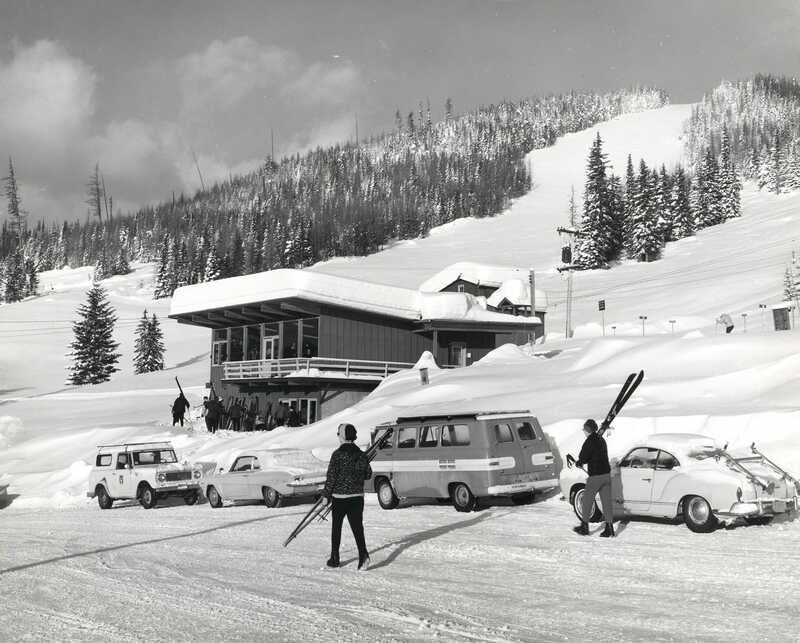 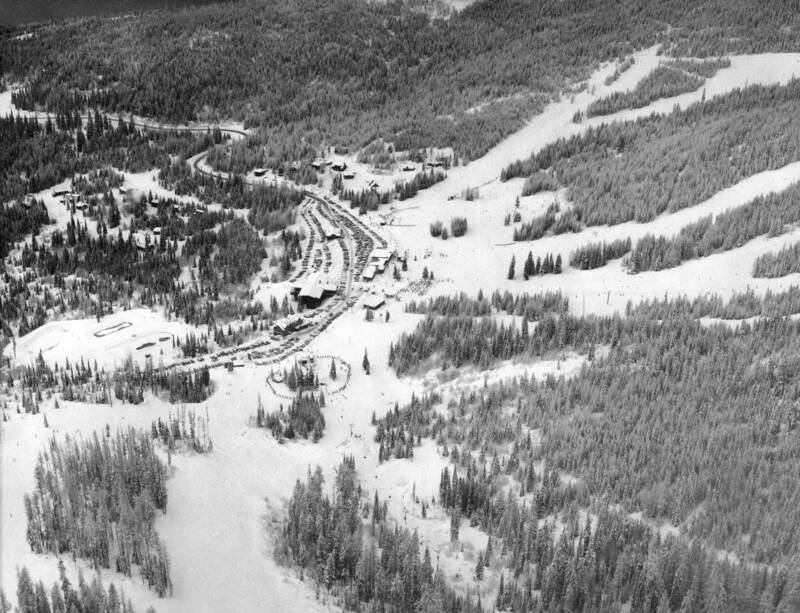 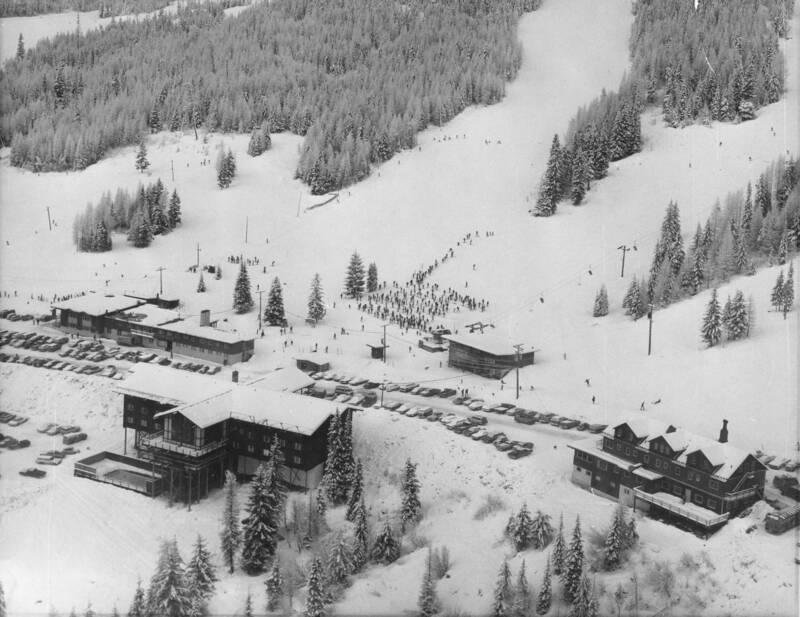 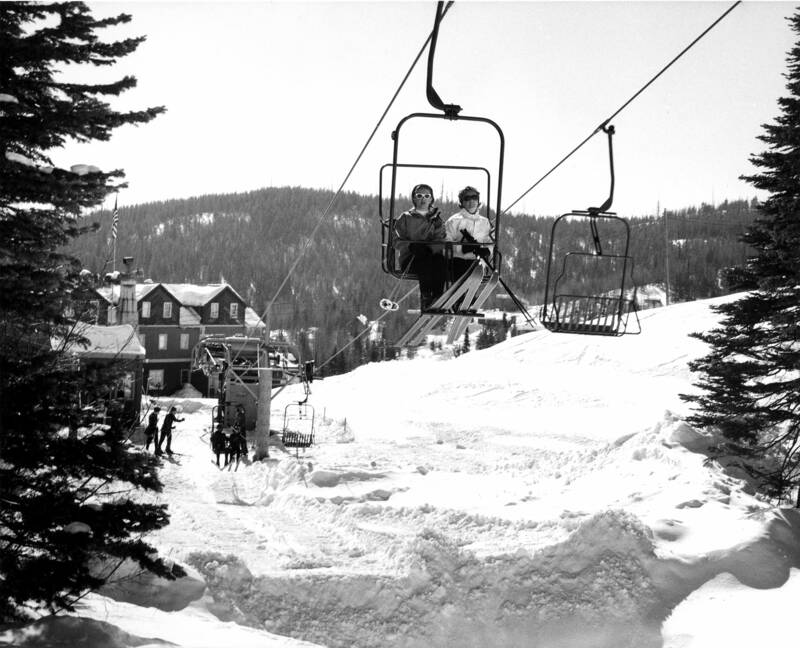 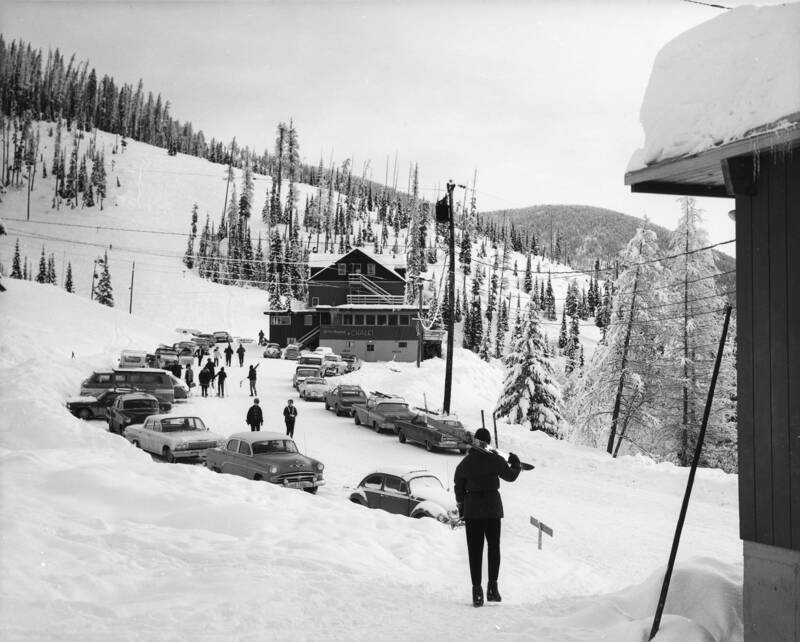 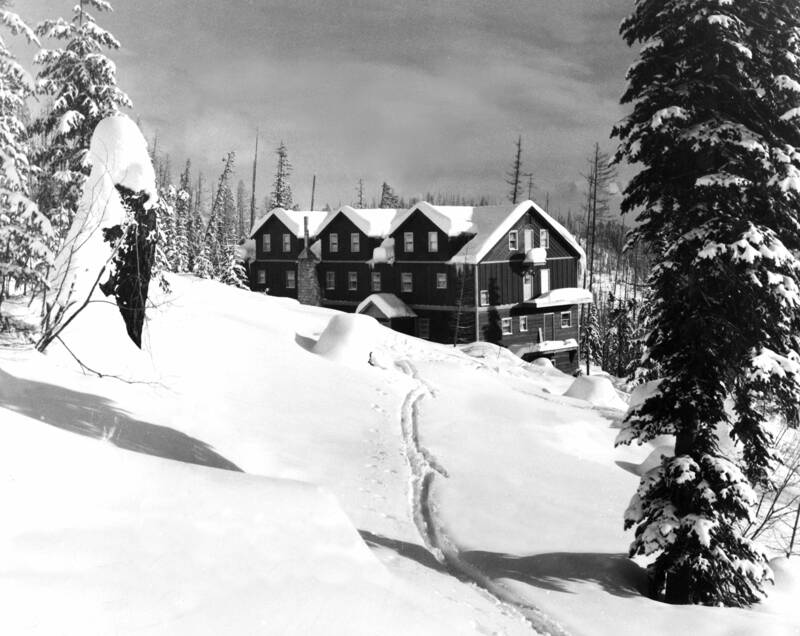 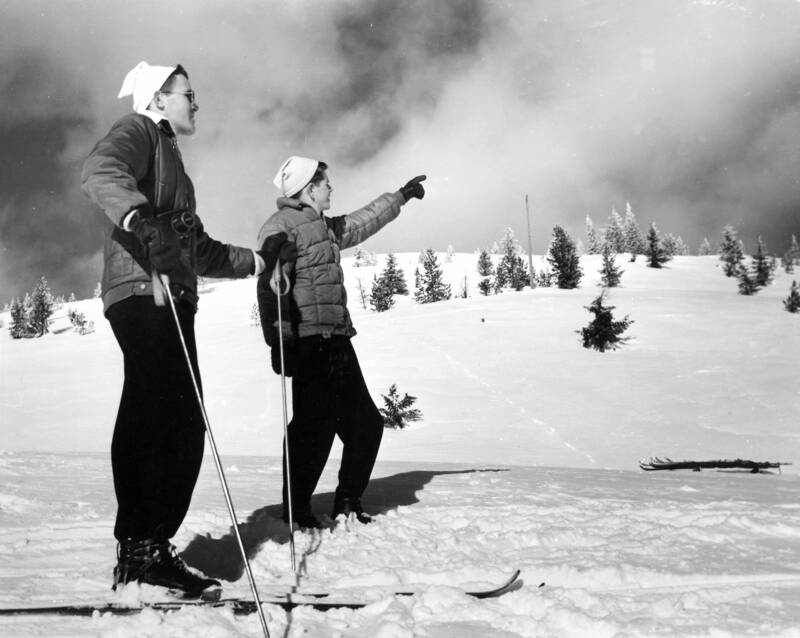 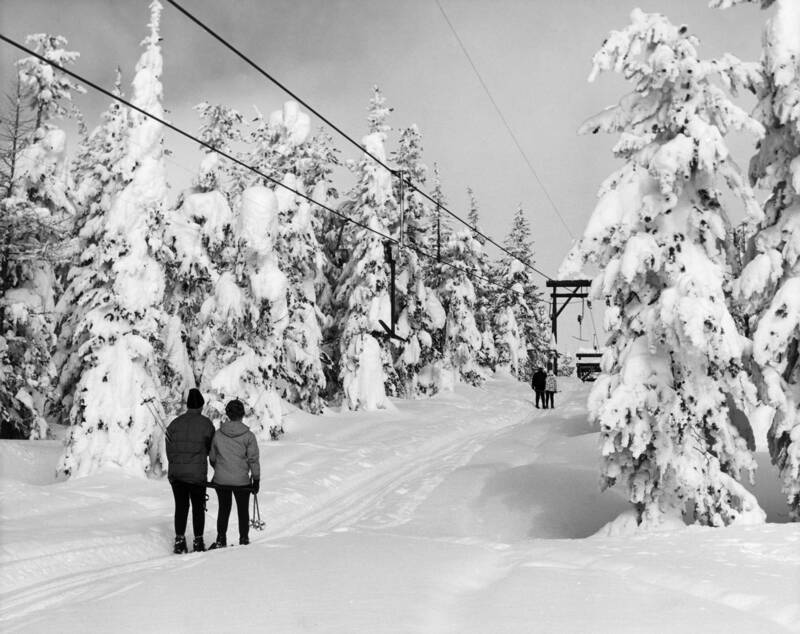 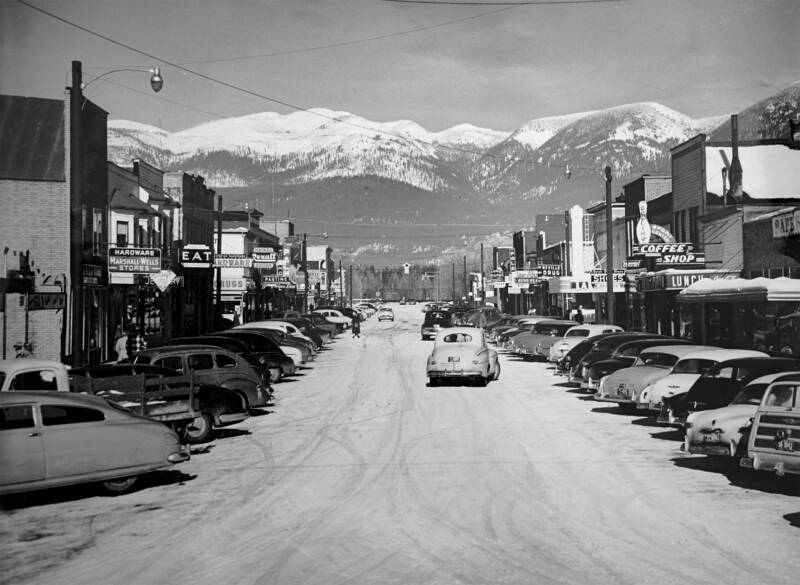 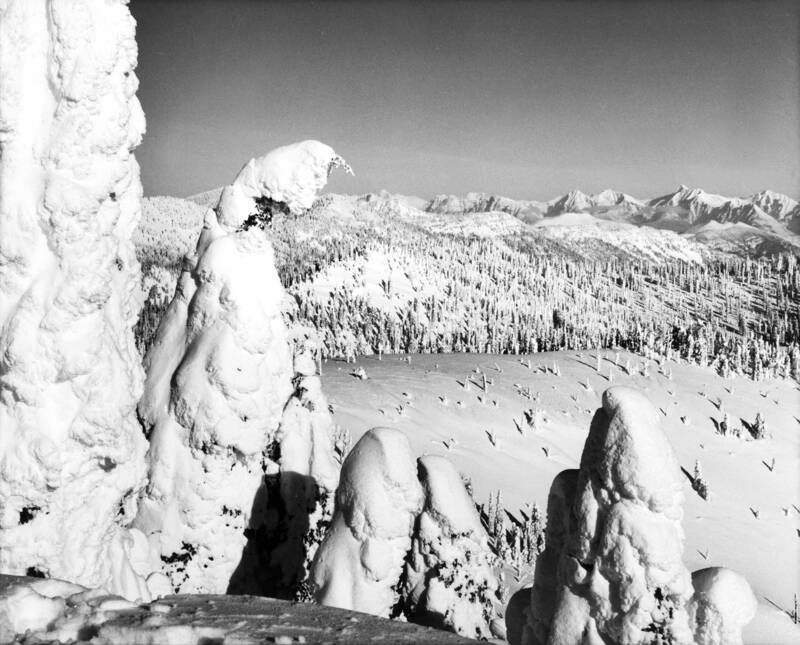 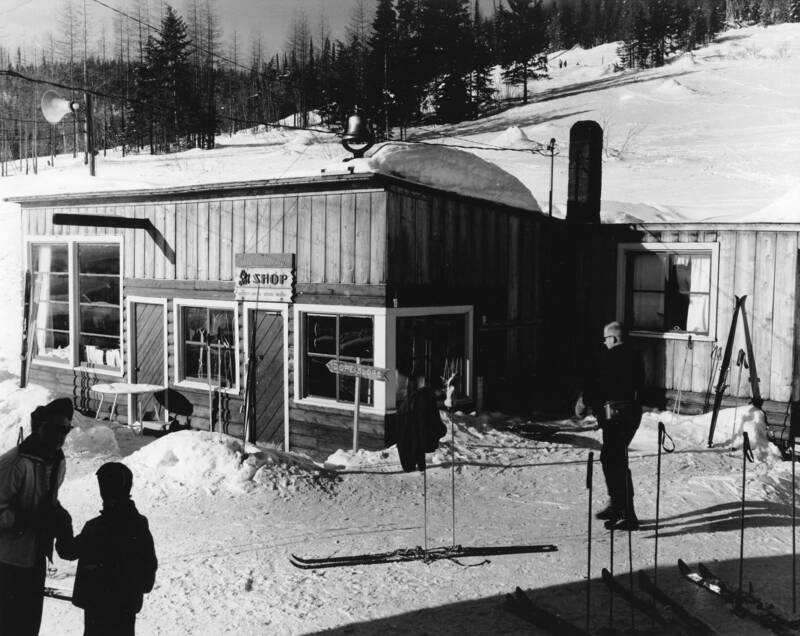 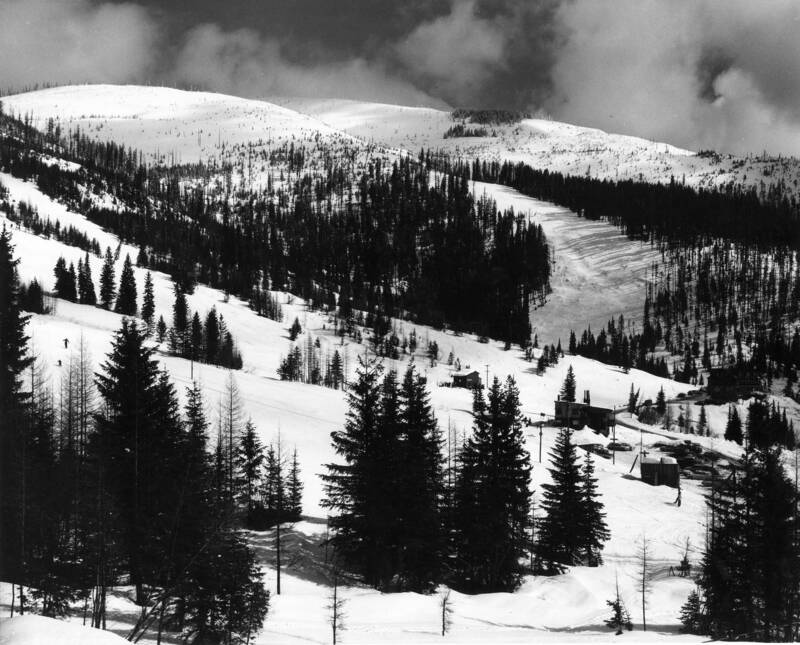 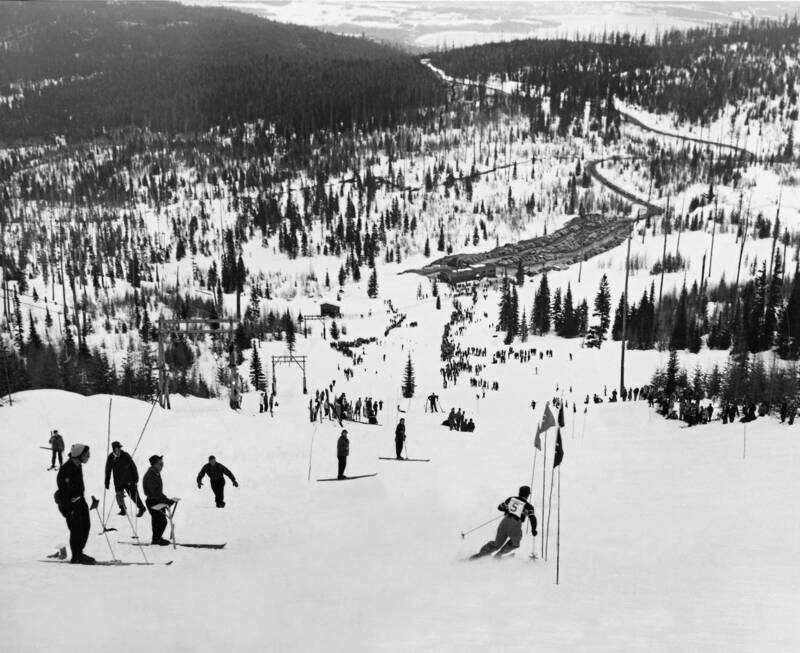 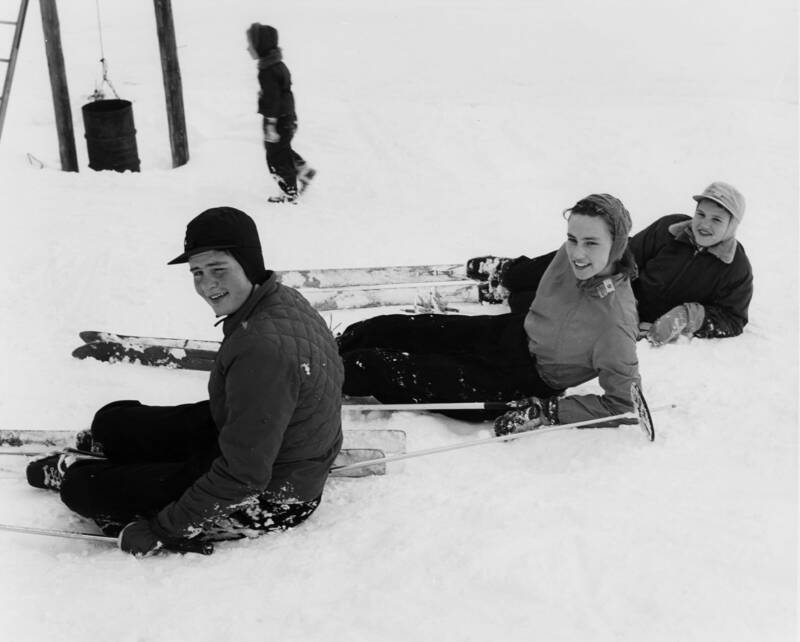 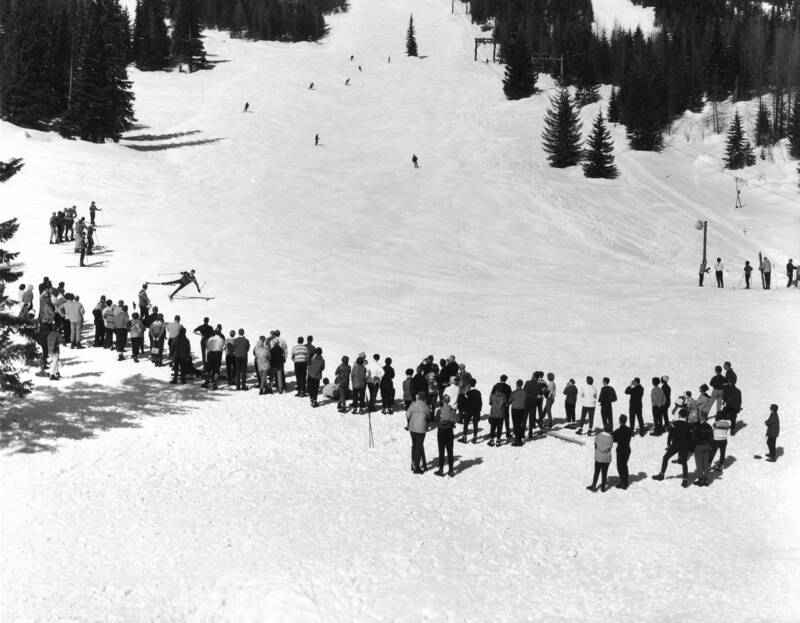 Before the first T-Bar opened on December 14, 1947 local skiers drove to the far end of town and hiked up the mountain wearing leather ski boots and wooden skis. 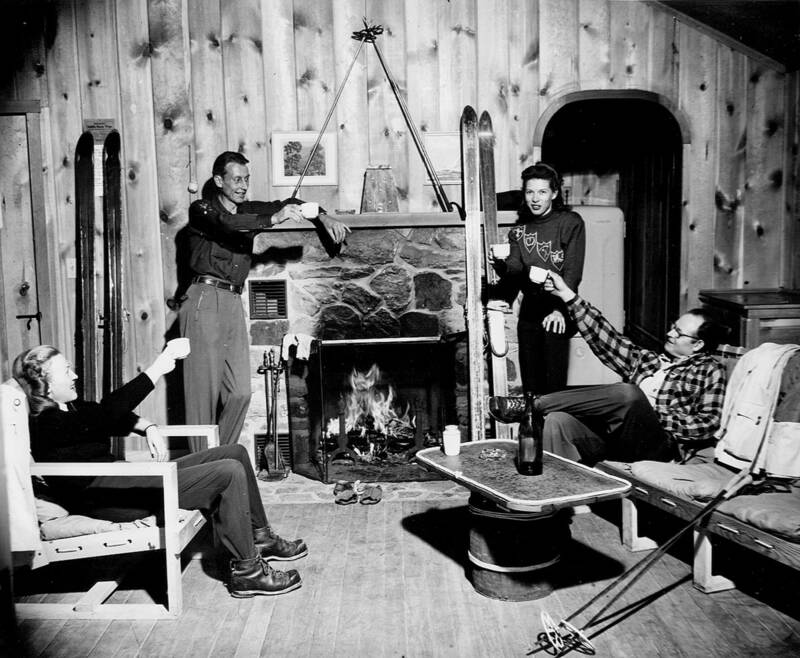 They built a cabin in 1935 for multi-day trips to better explore the mountain. 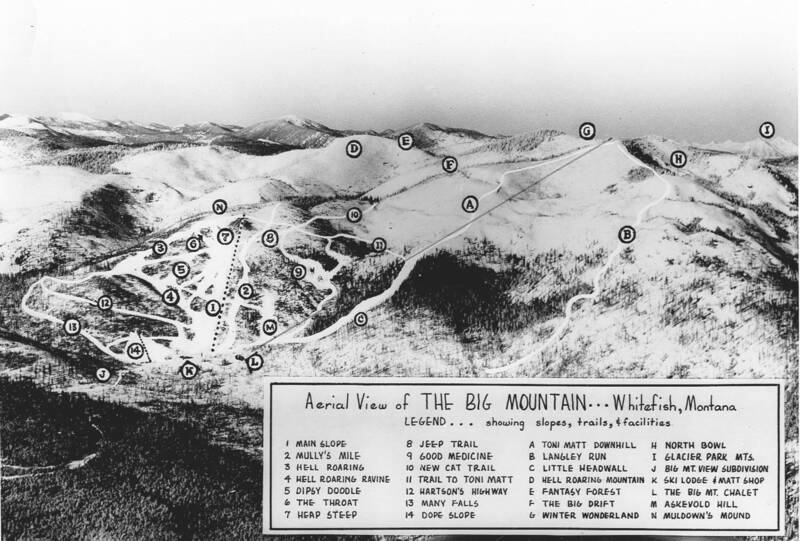 Soon word spread that the “Big Mountain” had great skiing. 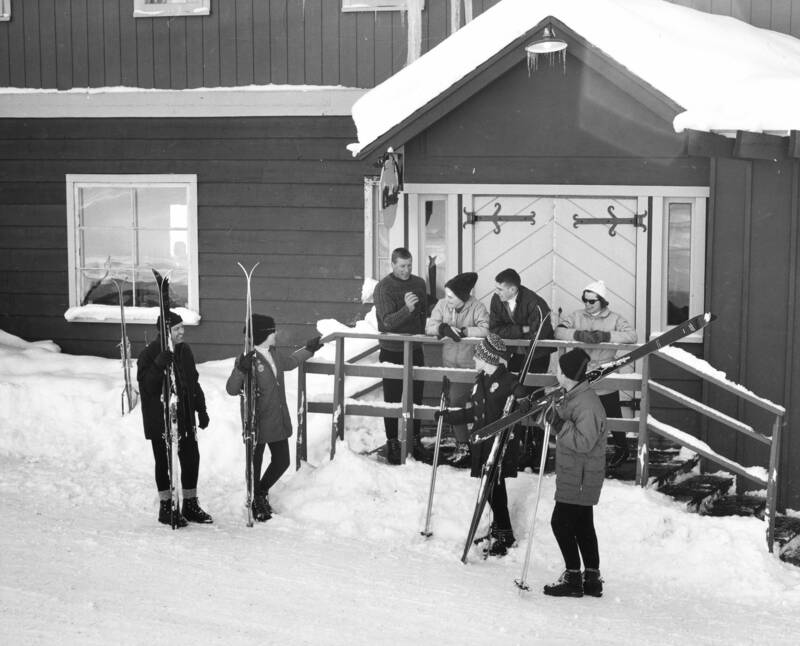 For generations, friends and families have gathered on the slopes to ski and have a good time. 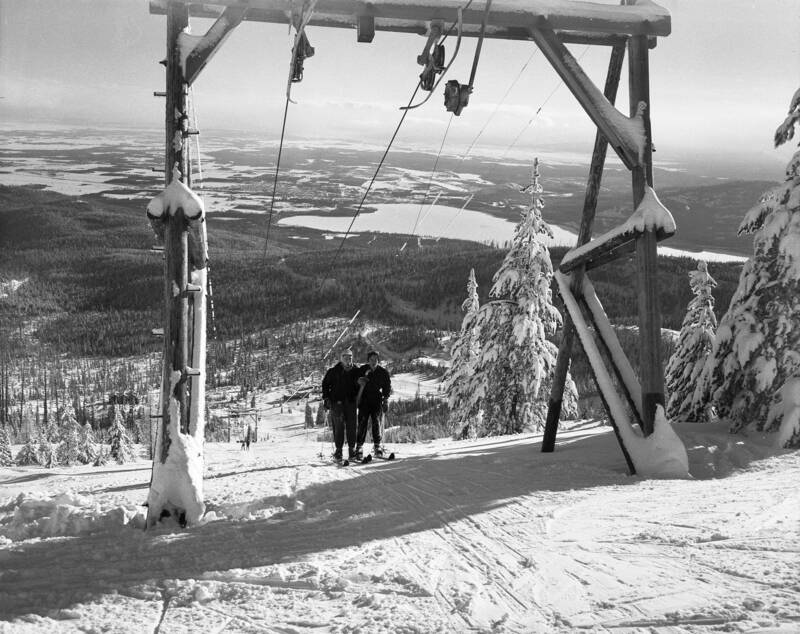 Today Whitefish Mountain Resort is still a place where people come to escape crowds, the hassles and pressures of everyday life. 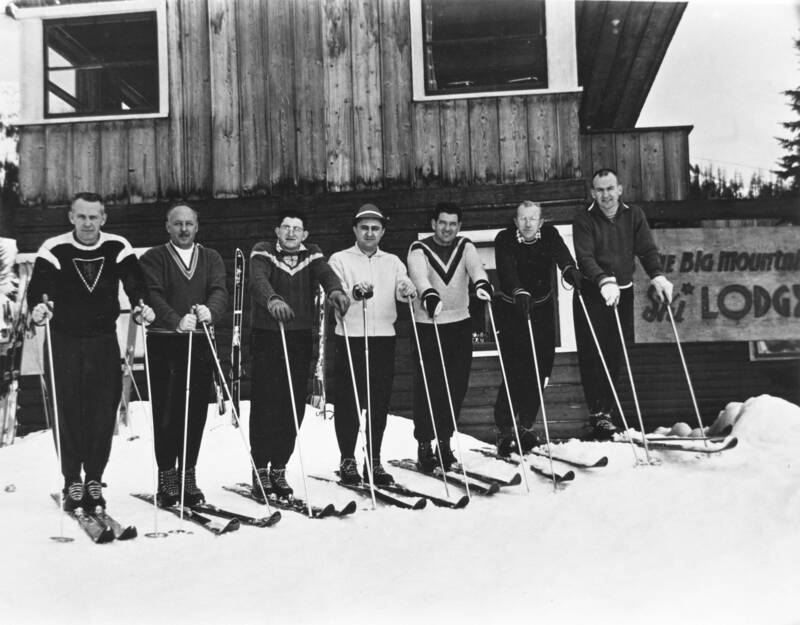 We hope that you’ll celebrate our 70th Anniversary with us this season, and spend some time on the mountain connecting with family and friends in an unhurried, easy-going atmosphere. 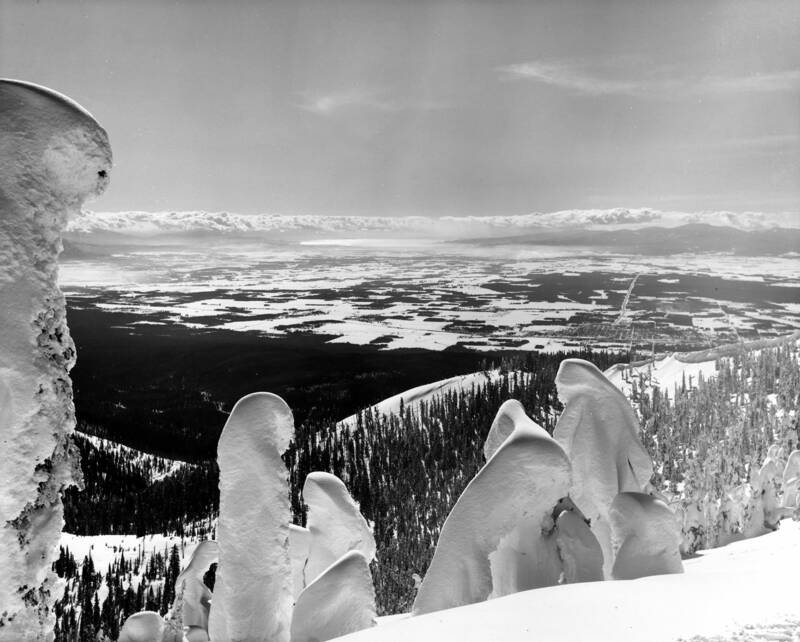 These historic images from the ‘40s, ‘50s and ‘60s are the work of the nationally acclaimed nature photographer, Marion Lacy. 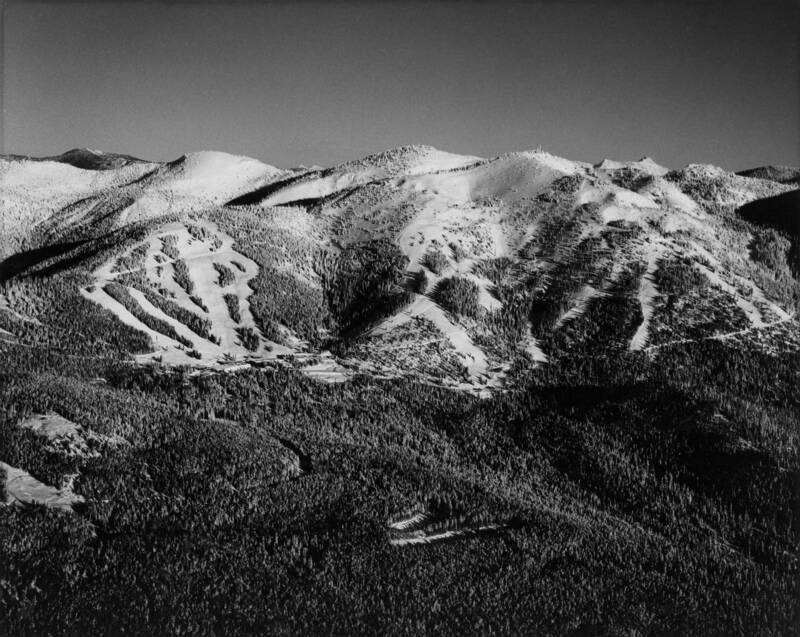 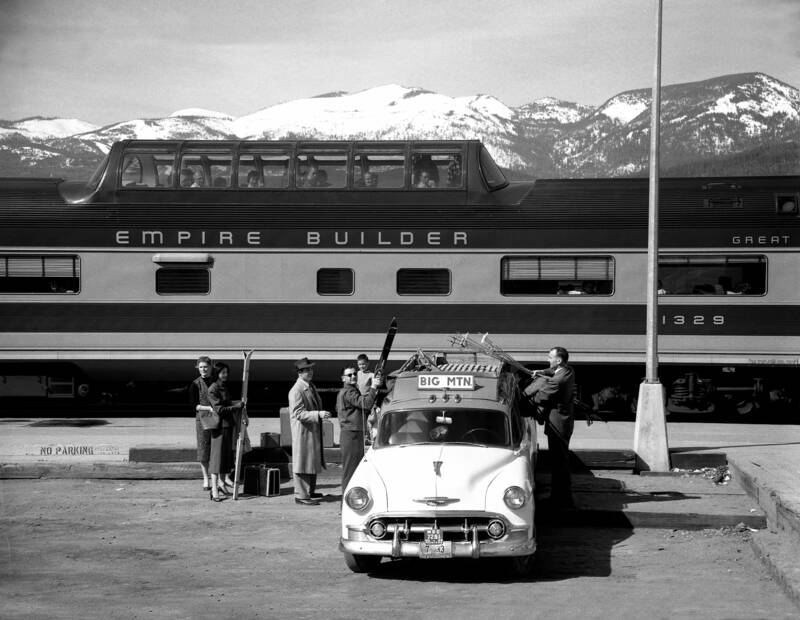 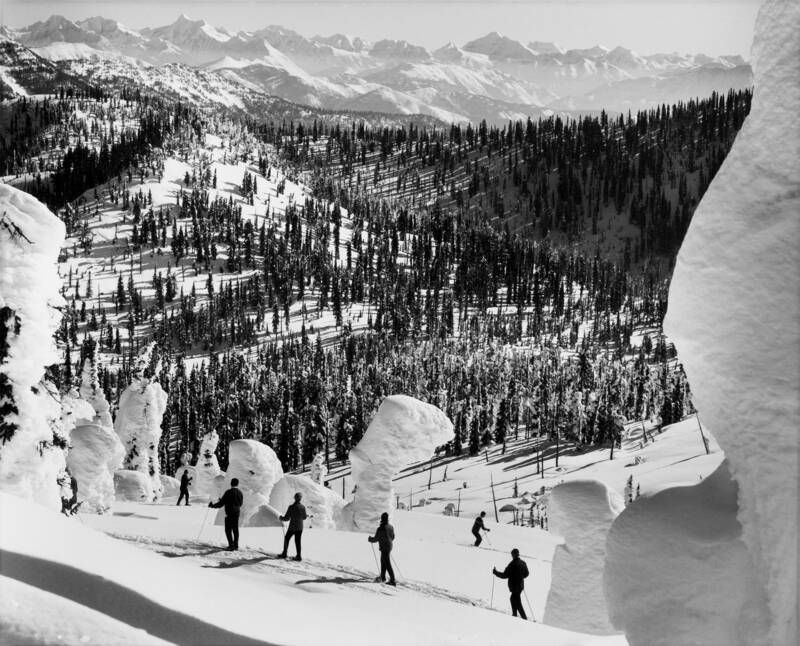 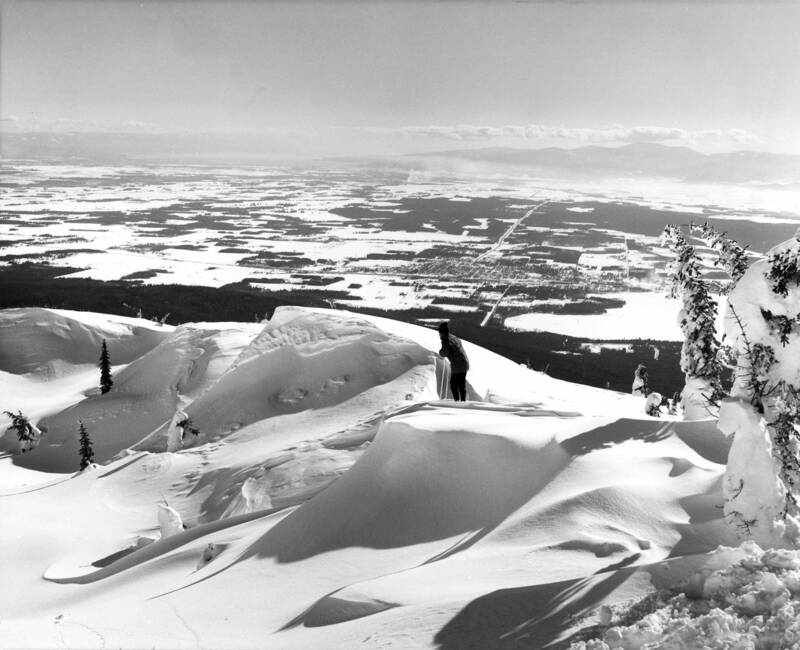 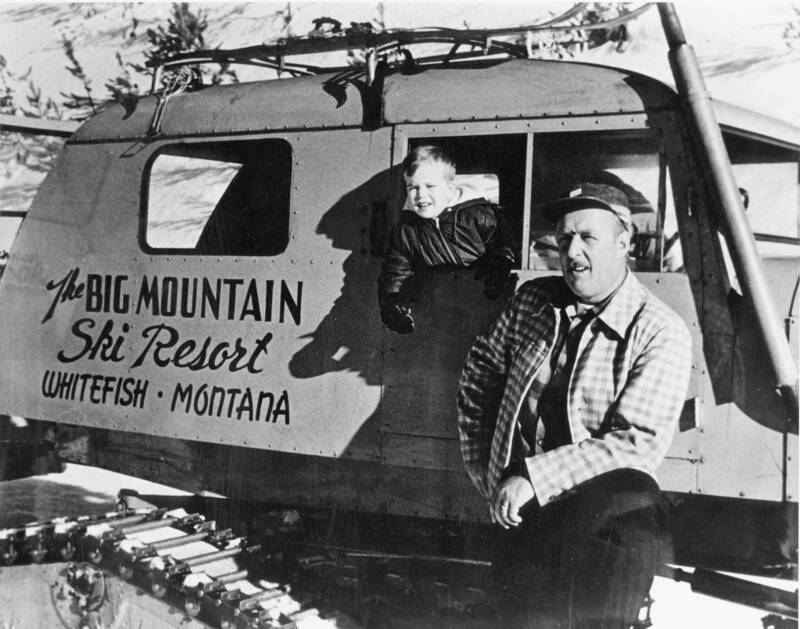 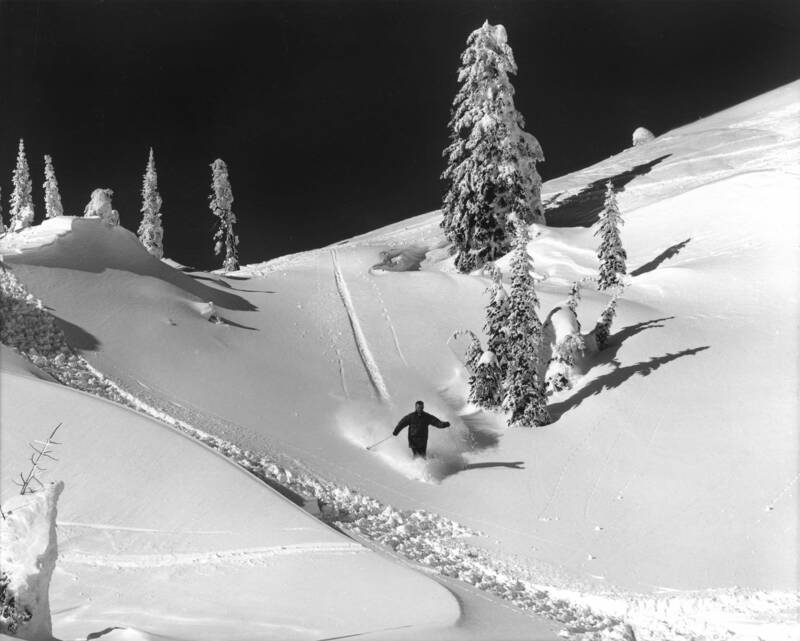 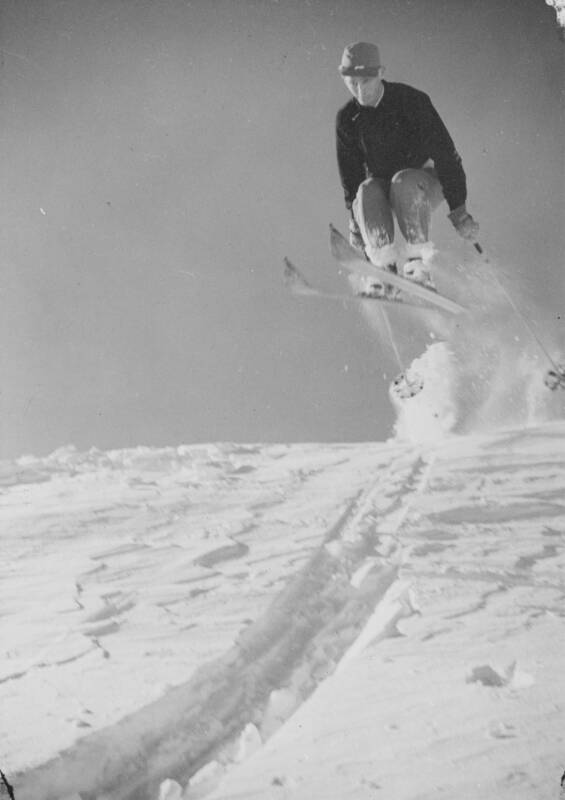 His scenic, action and promotional photos helped put the ski area on the map. 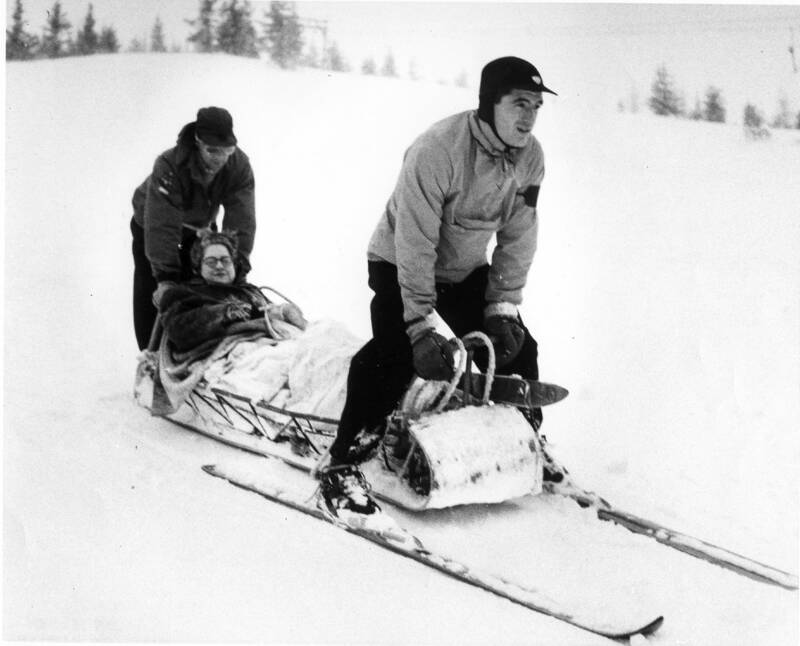 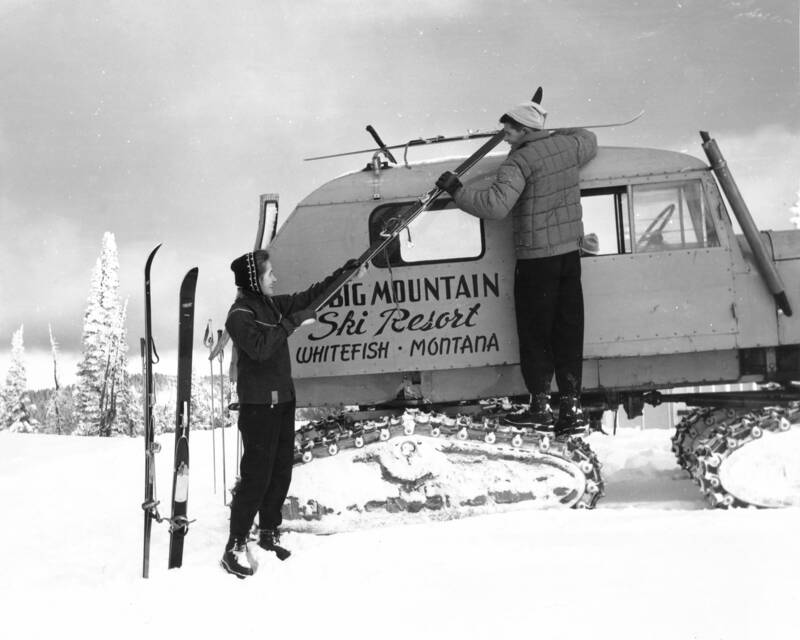 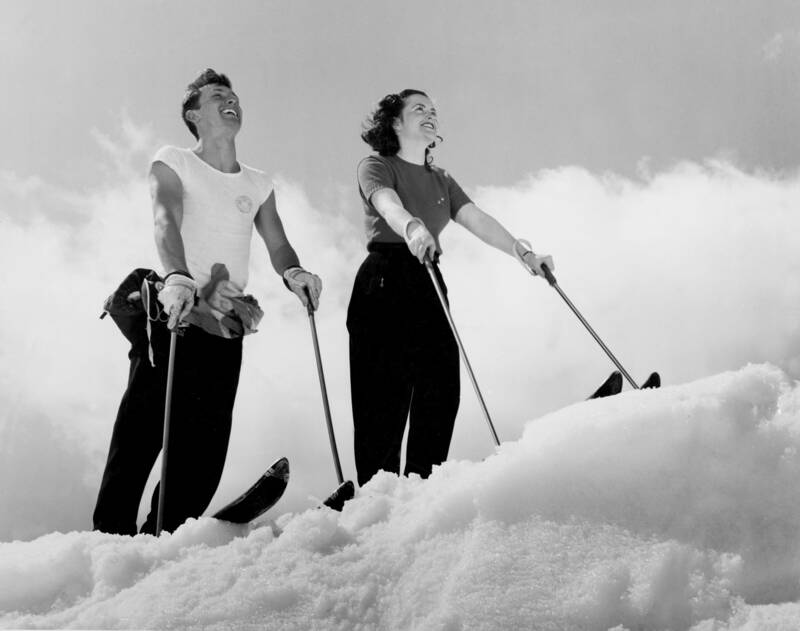 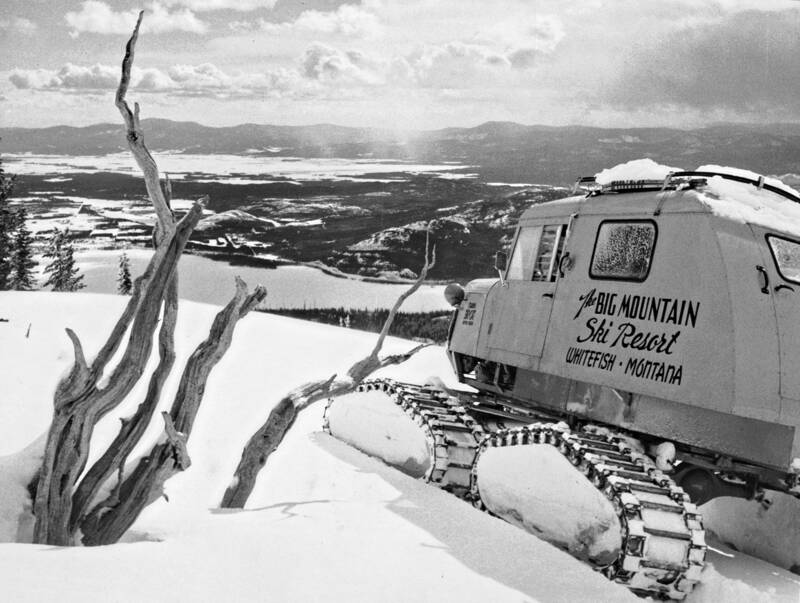 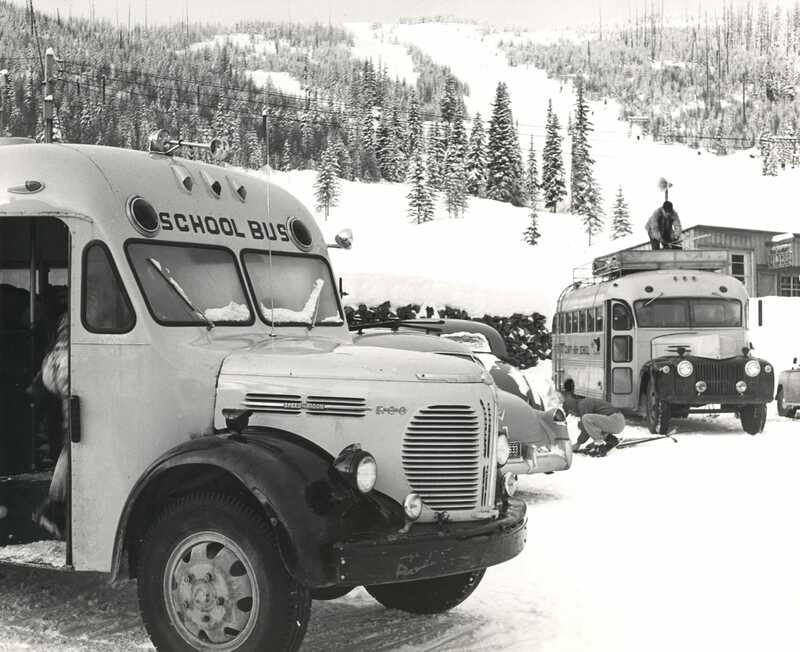 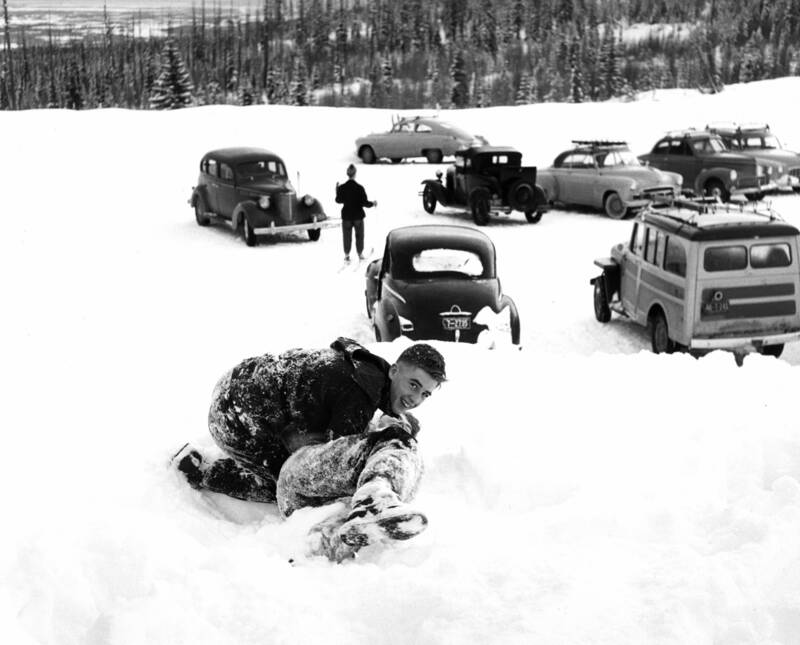 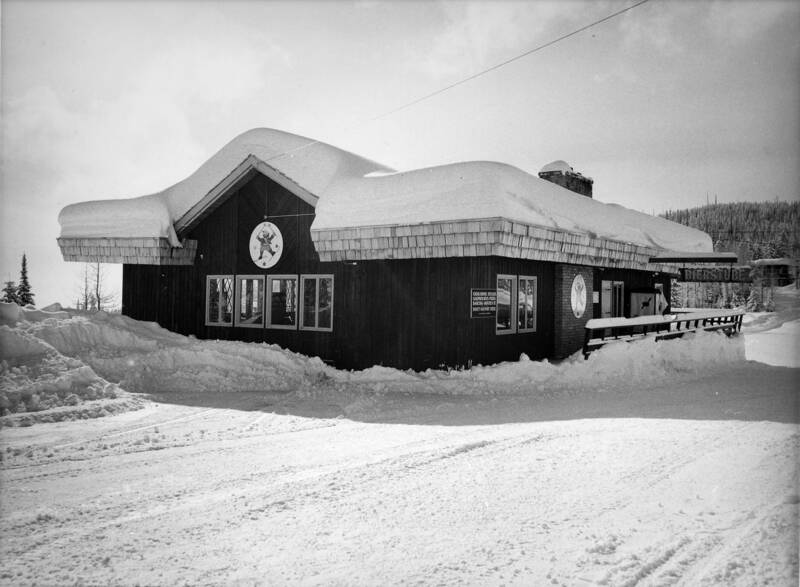 As we celebrate our 70thAnniversary, we’re having fun looking back on these photos and reflecting on the good times, great people and deep snow we’ve enjoyed since 1947.